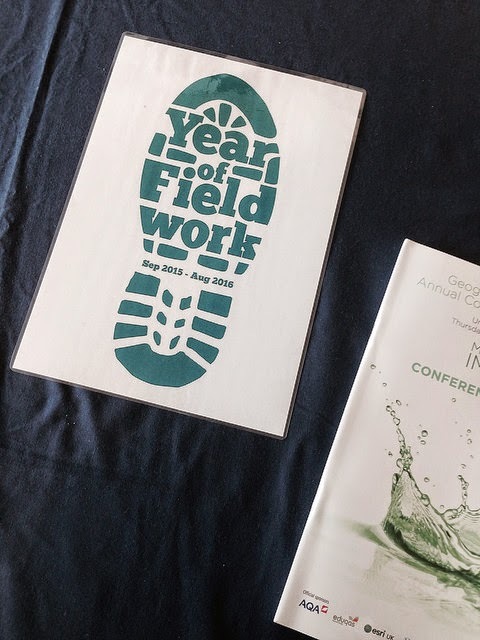 The Field Studies Council is organising a Year of Fieldwork along with other organisations that will start in September 2015 and go through into 2016. It was launched at the conference. This is going to be a good opportunity to focus on an important aspect of school geography, and one which we have had to fight to protect on several occasions. What are you planning for fieldwork in the year ahead ? We have been looking to boost field work throughout the year. Planned at present is a cross curricular 'Oceans' themed trip with Geography, Art, Music and Science, with Year 7's. We're also looking at a Sand dune analysis with IB students, Year 8's are investigating the role of environmental quality by assessing 2 very different areas in their 'Crime' unit, plus a GCSE residential trip that includes river studies that truly get into the river, on a river tracing/canyoning trip. That's just this term! Useful, where possible, to sneak under the noses of those that decide if you can take out trips or not.